Derivatives and Leverages and Bubbles, Oh My! Perhaps you have questions on what these financial tools are and how they caused the many “crisis” which plague the world’s economies and ours. I did too. Now I have some answers… but you might not like them. Q. What is a derivative? A. A derivative is a word that describes a root word, such as sub in submarine. ‘Sub’ is the root word and ‘sub-marine’ is the derivative. A derivative is like a leech, it can’t exist without a host. So, a sub-prime real estate loan is the derivative form of a real estate loan. The current price in 6 months equals $60. Neither country profits or looses money. The current price in 6 months goes up to $70. Saudi Arabia looses $10 per barrel. The current price in 6 months goes down to $50. The United States looses $10 per barrel. I read somewhere that the value of these derivatives are on average three times the actual value of the assets they are predicated upon. This means that two-thirds the value of a derivative is pure speculation. Therefore, coffee futures are three times the value of the underlying coffee, being a projection (or prediction) of the coffee’s future value. The inherent problem with this is that values don’t always go up, so huge or total losses can easily take place in betting on future derivatives prices. In general, derivatives are not part of the GDP, or Gross Domestic Product, since they cannot be accounted for until a future date. Thus, losses and gains can be hidden from the public until the next financial earnings report the following quarter or year. Derivatives losses, since they can be written off (to taxpayers) and since these bankers have virtually unlimited reserve monies to play with, are what has caused the so-called “financial crisis”. The bundling of these derivative sub-prime mortgages into AAA rated stocks (different parts of many different real estate loans get bundled together on paper to equal one stock or asset) was a dirty trick played on all of us, as the bankers ultimately knew that these derivative sub-prime real estate loans would by necessity be defaulted on, since the payments for these loans would eventually exceed the income of the borrowers as the interest rates jumped according to the sub-prime contracts, and the falsely propped up prices in the real estate markets had to drop (or correct themselves) back to somewhat realistic values, meaning that the loans would be more than the actual property is worth. Deregulation of the banking industry and the letting go of these regulators – persons whose job it was to ensure these types of loans could not be given to people who could not afford them – was one root cause of this planned fiasco. There were no accidents here. This was a premeditated attack on the dollar and the economy of the United States. For while these banks and the large corporate sponsors of these derivatives get “bailed out” by our president and legislature (who receives funding and kickbacks through lobby’s and future contracts, stock options, and future appointments (jobs) with said corporations) – or more accurately by the taxpayers and the future generations who will pay for these bailouts – the taxpayers get no such recompense. The fact that all home mortgages in the United States could have been paid off for much less than the amount of money that was given in the form of “bailouts” to mortgage companies, much of which went to foreign banks, is the ultimate sign that our country is being run by the most heinously corrupt clan of conspirators in history, and will very likely be the downfall of our beloved country. Guess who the largest contributors to the Obama campaign were? You guessed it… the banks that received the “bailouts”. Q. What is a bubble? A. A bubble is when prices of real assets or derivatives are severely over priced or artificially inflated, meaning that the actual value is much less than the current prices. This is usually caused by fictitious hype about a market or product, its location, its future worth, and other false predictive values. In other words, the government, corporations, banks, or brokers lie about their assets’ value in order to reap profits on unsuspecting investors. In the real estate market, this means the price of the homes in an area are too high, with nothing real to back up their value. A house in Los Angeles that costs $1.2 million might sell for $120,000 in Idaho. But a simple overdue 8.0 earthquake would remedy that discrepancy in the blink of an eye. A castle set on 100 acres of land in Utah might be worth the same as a small 1-bedroom apartment in Manhattan overlooking Central Park. Pray for no earthquakes or typhoons here! With the dot-com bubble, it meant that speculation on the future value of these virtual businesses were eventually shown to be false, and that the stock prices dropped or “corrected” themselves to the actual value – or just failed altogether. Though stupendous profits can be made on the way up, most investors will always eventually lose the game as the price drops below what was paid for the asset at its peak performance. Thus, the “bubble” is said to be deflated, or popped. Again, there is nothing accidental about this type of market fluctuation and correction. The Federal Reserve and their partner banks and corporations with help from the misleading media are always in control of inflation and deflation, supply and demand. The knowledge of these types of bubbles and how and when they will pop is not an unknown entity. Nothing happens by accident in the stock market or the futures markets. Bubbles are blown up and snuffed by these bankers, usually after they abandon their market shares. Q. What does it mean to leverage something? A. To leverage something (like money) you would basically be borrowing something in the hopes or expectation of making more of that thing in the future. In the case of money, you would take on debt by borrowing money at interest and then using that money, say in the stock market, to purchase assets (stocks). If the stock goes up in value more than the interest you must pay on the original debt, you have leveraged that money to make a profit. Even more simple to understand: if you could borrow the same money at 5% interest and then invest that money in a bond or CD (basically a virtually no risk investment – you hope.) which would return 10% guaranteed, you are leveraging that debt and making 5% profit without even making an effort. Let’s say every month you put $100 into you’re savings account, and are being paid 5% interest on your money (peanuts, really). How can the bank afford to do that?Well, the bank takes you’re money and will invest it in loans, credit, funds, or other riskier and higher yield investments. Let’s say that bank makes an average of a 15% return on yours and everyone else’s savings account money before it pays all of you your share (5%). Well, the bank has just borrowed (leveraged) your money in order to make 10% profits on your money. So while you feel like you are getting a fair but quite meager return on your so-called “safe” investment (your stagnant savings account), the bank is actually risking your money to make money of its own, and letting you have a small portion as an incentive to keep saving – depositing more money into your account for the bank to leverage. This is why they can pay you that measly 5% interest. And, this is why I despise the banking industry! These bankers are really making money off of your unwillingness to take a risk with your own hard-earned money. Of course, they reinforce this fear and make the whole system as confusing as possible through red tape, fine print, and the media so that you are kept in the dark about this process. The expression “Time is money” is the most true statement ever made in the financial world. And so, if you can leverage your time, making money while you sleep, then you are way ahead of the game. A business owner who hires workers to produce goods, which will in turn make more money for the owner, is leveraging his time. Throw in a manager who runs the shop for even more leverage. He pays a percentage of the profits of these products to the workers and to the manager, while he can be doing other things… like setting up another business with the profits from the first (leveraging the initial leveraged money), or sipping a cocktail at the beach (making money while he sleeps). If this operation runs smoothly, his time is leveraged 100% since he never even needs to set foot in his shop. The same could be done on the Internet, where manufacturing, sales, and shipping are all done virtually from home – or are leveraged through an Internet company. This leveraging of time is the most important lesson in business you can learn. Without it, we’d have nothing but the working class. These guys leverage huge amounts of money, and the only risk is to the taxpayer. We as taxpayers are easily trained to just keep paying our illegitimate taxes. And if the money is lost, they just ask the Fed to print up some more out of thin air… but we have to pay the bill. The taxpayers are somewhat like the aforementioned workers in this respect, which keep on working to pay for, or leverage the governments gambling habit. We as citizens are all leveraged as collateral since we keep producing revenue in the form of taxes, and since we pay for the interest attached to the new money that is printed up by the Federal Reserve when the bets are lost. In other words, we pay triple taxes: once for the original investment, once again for new printed money to cover in bad investment (which makes someone a profit since that money doesn’t just disappear), and once again over time for interest owed on both sets of monies. Profits however, never seem to get redistributed to the real investors: the people of the United States who pay their taxes under a false sense of duty, never even realizing that any of these taxes (especially the income tax) goes towards the services they would expect them to, and instead goes almost exclusively to pay off the national debt (to the Federal Reserve Bank, which is a group of private international bankers that operate above the law and completely outside of the control of our government, the president, the legislature, and the taxpayers who supply it). And so this is how your government operates: controlled by the bankers who lend it money at interest. Bonus Q. What is Zionism? End The Fed? Ok, but lets talk first! This whole End The Fed campaign is starting to worry me. 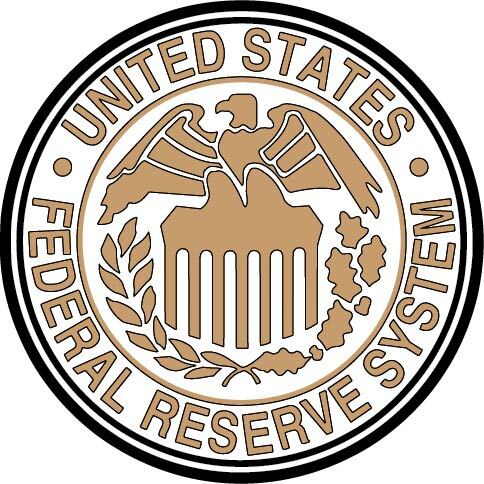 If I were part of the rich and powerful globalist elites who control the money and it’s inflationary and deflationary status, and I wanted to destroy the U.S. dollar, the economy, and the Constitution of the United States, the most logical thing I could do would be to indeed End The Federal Reserve. Then it would be much easier to bring in a world currency. And the way I would do it? I would provocateur a campaign to expose the Fed (which I all but own) and then get the people angry enough at it to want to expose it, and end it. So… the people would unwittingly do my dirty work for me! I would then use my interest in the United Nations and its powers to institute a global currency to replace the dollar, the fiat currency that the uninformed but well-intentioned people got rid of for me. The moral of the story is this: Ya’ll better have a replacement currency system in place before “Ending The Fed”, or else you might just inadvertently “End The USA” on accident and as a side effect of your unfocused patriotism. I am deeply concerned about so many unorganized, or more importantly un-united political action groups working so hard and for so many different purposes. Only through the unification of all of these smaller groups into one united force will we be able to do what needs to be done. We can all agree that the Fed, along with its many acronymic enforcing bodies (FBI, IRS, etc…) is the root of most of the evils that befell this once great country. Yes, the income tax is a fraud. But caution must be maintained in dealing with this, lest we all take a giant step of a cliff with no safety net and no bottom. Misplaced and unchecked confidence in the validity and strength of our cause might be our undoing. When Bloomberg and other “mainstream” conglomerate media corporations begin touting the necessity of exposing or ending the Fed, I know there is something more happening here… something that none of us can fully comprehend. A very good personal example: When Rupert Murdoch of Fox fame came forward on international television and “admitted” that global warming was real and man-made… I finally knew for sure that it most certainly was not man made or real!!! Let’s unite the factions, join together as one powerful group force, and think this through.